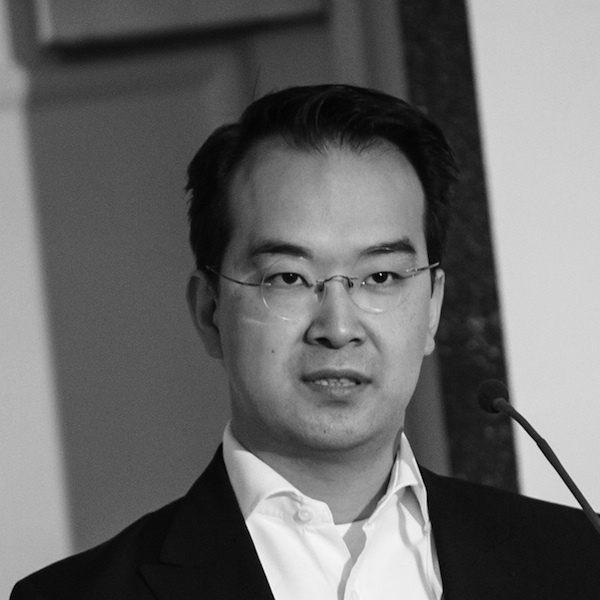 The chance to convert Euston Station from dreary dive to a life enhancing public space will be one of the most exciting possibilities of HS2, says John McAslan director Hiro Aso, architect for the redevelopment of King’s Cross. Interview by Jackie Whitelaw. Why is Euston such an exciting opportunity? The station has had a very messy history and I believe HS2 is the once-in-a-lifetime opportunity to re-tell its own story, re-establish a new identity. The fact that the existing 1960s inspired buildings can be demolished gives architects and masterplanners a clarified canvas to work with and evidence from St Pancras and King’s Cross means that public expectation will be very high. On balance something really drastic needs to be done. The irony, having worked for years on preserving the Victorian legacy at King’s Cross, is that a living and breathing Victorian solution would have been to knock it down and start again! At Euston we have a chance of a properly Victorian approach. 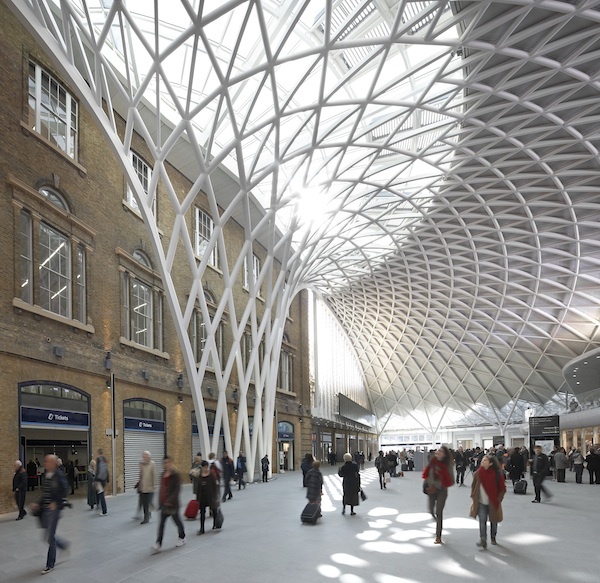 What is the key lesson Euston can learn from King’s Cross? Establish the brand. At King’s Cross we had the Victorian legacy and to an extent Harry Potter (laugh). What is it about Euston that is special and specific to the location, what is significant about the local context, how can the new station and associated development enhance that? That means engaging the local community and understanding the area. I feel very strongly that we have to work out what Euston is really about. It would be very disappointing if all the promise of a sparkling future fails to materialise. And at King’s Cross we created a grown up urban space around the station. Euston has a valuable green garden in front of itinherited in many regards over time; it is badly used at the moment but completely unique for a London station; what are the possibilities there? Customers are getting ever more demanding and will and should expect better than St Pancras and King’s Cross. That means re-thinking through what a railway station is and should become. The Victorians innovatively created big volumetric spaces to cope with the technology of steam from the trains so there is an argument that you can technically suppress that space. But then you would not retain the romantic volumetric nature of “the sky within a building”. Is that what is wanted? Also, should associated development be dictated by the station or the other way round? What’s the balance at Euston? How should passengers experience the space? Does the development become part of the sense of arrival? Whatever is done, we can’t repeat what happened last time Euston was flattened. For everyone involved in transport infrastructure it is very, very exciting. Is there other learning that needs to be incorporated? We must get the very, very best of learning from London and around the world. In particular the issues of security and commercialisation and how the two can work together. At John McAslan + Partners we are working in a consortium on a three year project for the European Commission – Project Seven: SecureStation – which is looking at all aspects of design and the development of security in transit developments. The end result will be a handbook for clients around the world on how security can be seamlessly integrated into design. A key issue is making sure designers address the issues of congestion and disperse people as much as possible particularly at the crunch spaces like platform access points and interchange tube entrances. Alongside that is understanding the impact of commercialisation, the shops and other outlets that passengers expect as part of the service and striking the right balance with how much can safely be incorporated. I think we have demonstrated at King’s Cross that that can be done. 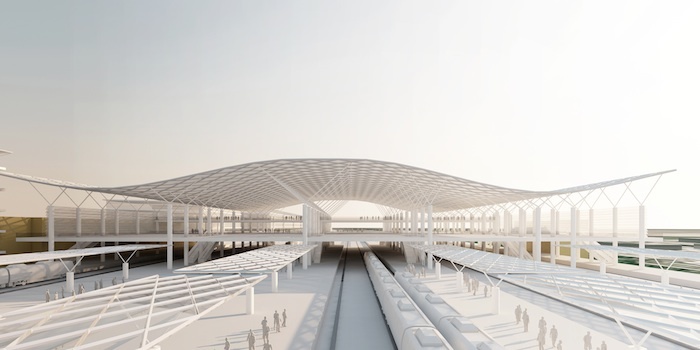 Are London’s new station designs opening opportunities for designers around the world? Yes, definitely. For instance we are about to submit a masterplan for Delhi to the Indian ministry for railways and a key design issue is security. London and Delhi could be said to be polls apart but in fact have shared security interests. We are also working with the city of Moscow on its sixth masterplan we’ve done for them,which is focusing on transit oriented development. My focus there is modal shift; how do we get people out of cars when the culture is to sit out 2-hour traffic jams in the morning then again in the evening! We also find we are being asked to do a lot of work beyond London at diverse transport land sites, including for example airports on landside developments. What is the impact likely to be on other station developments in the UK? Let’s just take HS2. The project has raised high expectations for all its stations, but at the same time has to be utterly affordable. Austerity continues. I am particularly excited about the possibilities of associated regeneration effects, for example at Old Oak Common. The original Victorian blueprint was to position stations on the outskirts of London and those termini have now been absorbed into a bigger London. With the inner city approaching capacity, could HS2 be the start of an outer ring of significant London stations? 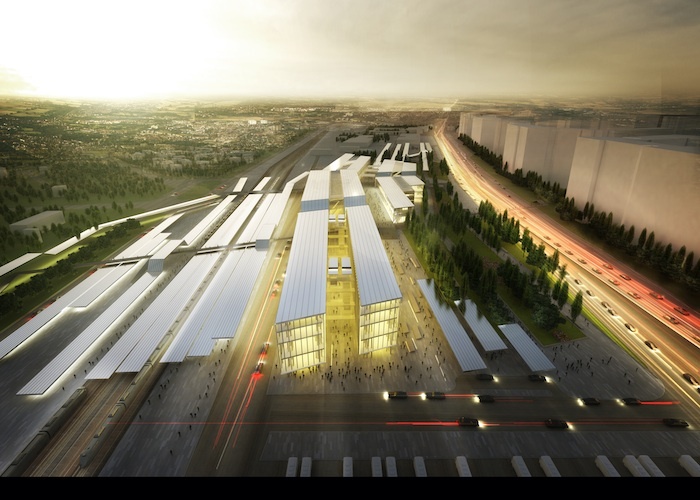 What is the attraction of station design? I fell into the transport sector initially by chance and loved it. I’d worked in all the other sectors – commercial and retail development, residential, education and culture. There is something very democratic about a station, isn’t there? They are for everyone not just the elite. HS2 has to deliver that romance, the sense that there is an opportunity for everyone to travel more widely. And of course, stations can create a sense of wonder. When we rolled back the scaffolding hiding the King’s Cross main historic roof and let the daylight back in, passengers were walking into each other as they gazed upwards. Health and safety! (laugh).That was lovely. Anything that current HS2 plans are missing? Straight back from Easter with a young family, I feel it ought to be possible to make a seamless trip to Paris by being able to check in at Glasgow, Manchester and Liverpool and travel straight there. The travel experience would be so much better. Surely that has to be a given. In all seriousness, breaking the journey as has been suggested and having to use say travelators to get from Euston to St Pancras, that feels counter cultural?